The Corvette has gone through a lot of changes throughout the years. 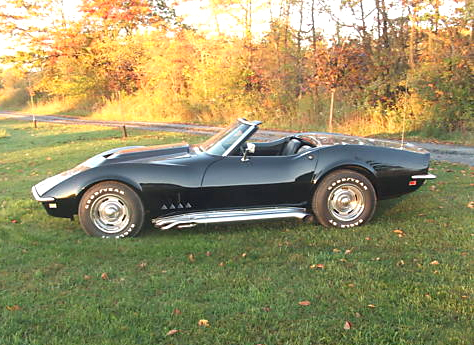 I put the 1968 corvette web site together because I have always liked the corvettes. There is a good chance you may still see some 1968 corvettes roaring down the highway these days giving the modern zippers cars a run for their money. If you are lucky, you might be able to pick up one up or find the 1968 corvette parts online a lot easier than years ago flipping through magazines. Please browse through this web site to learn about the 1968 corvette and the history behind the corvette. I update the web site often, so check back soon! If you want to add your picture and information about your vette, fill out our contact form and we will get back to you as soon as we can. 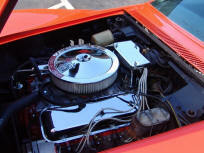 The 1968 Corvette gained several interesting engine options this year under the hood, including the 327 CID V8 L79 rated at 350 bhp, but also the L89 aluminum head option for the L71. The rare L88 engine choice was still available for a good buy at $1,032 (1968 Dollars). At this price only 115 were sold.